As a small business owner, you’re always on the lookout for different marketing solutions. You want to invest in methods that are affordable and offer a maximum return. At the bare minimum, you must know how to calculate return on investment. If you don’t know what kind of return you’re getting on any marketing solution, you’ll end up throwing money blindly down the tubes. This money isn’t being used to its full potential, and therefore won’t get you very far. We’ve reviewed the ROI formula before, but just as a reminder, you take your monthly spend on SMS marketing and subtract it from your monthly gross sales as a result of SMS marketing. This final number is the return you’re getting on your investment. 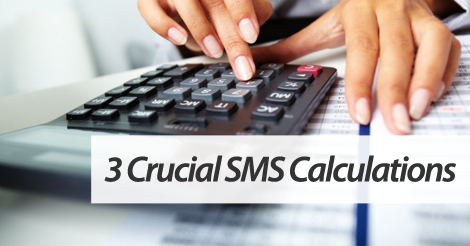 In addition, make sure you understand how to calculate your SMS marketing cost per acquisition, or CPA. How much does one opt in “cost”? Are you giving away a free appetizer in exchange for the opt in? In that case, your subscriber equates the product cost of that appetizer. Finally, you must recognize the importance of offer redemption in comparison to product cost. Let’s put it this way. If you own a restaurant, and you’re promoting $5 off a bacon cheeseburger, make sure you’re still collecting a profit on this deal. For example, if you regularly charge $9.99 for a bacon cheeseburger, and offer $5 off, that means you’ll only collect $4.99 per redeemed promotion. But, on the flip side, let’s say that burger cost you $6.99 to make. Technically, you’re actually losing money on this promotion. When you know your product cost, you can better assess the real value of an offer. Partner up with top SMS marketing service, SlickText.com. Give us a call today at 1.800.688.6290. Ready to sign up for your free plan? Head over to the pricing page and get started. Our feature rich platform empowers SMS marketing beginners to succeed.